The other day I browsed through the little notebook that I carry around in my purse and found all the book titles that I had jotted down in it. Some had been recommended in sermons or seminars, a few were suggested by friends, and some were showcased on the radio. Others had flown under the radar and ended up in my notebook without me remembering how I'd even heard of them. And then I went to the library's website and started putting them on hold. The books and tapes have begun coming in. I'll never get through them all, but that doesn't stop me from trying. I wanted to tell you about just three of them. I'm not finished with any of them yet, but I have read enough of them to feel that they are safe bets to share. For years Tom hasencouraged me to read this series. He has read nearly everything the Thoenes have written and he knew I would like this, but I wasn't ready to commit to a 12-book series. FinallyI have decided to dive in. I listened to Book 1, First Light, on tape last week and will be starting Book 2 today. 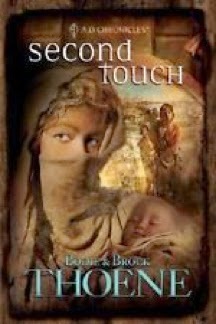 The stories are set in the ancient world, particularly in Jerusalem and the surrounding areas, during the last year of Jesus' life. The Thoenes are skilled storytellers (I have loved everything I've read of theirs) and they bring major historical characters and minor biblical characters to life, adding in a few new ones, to create compelling stories of life and faith. In Book 1 we met Peniel, a blind beggar with a tender heart for God, Zadok, the chief shepherd for the synagogue in Jerusalem, and several other people who struggled with what to make of Jesus called the Christ. I appreciated the insights into Roman history that I gained from the book and the foment that whirled around Jesus' words and deeds. These are powerful stories, beautifully told. When Harry Bernstein was 93 years old he sat down to write his first book, a memoir of his childhood in the early 1900s in a working-class neighborhood in England. 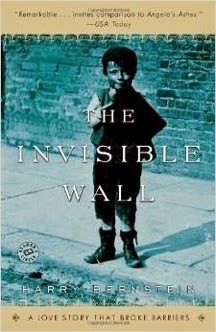 The "invisible wall" ran down the middle of his street, separating the Jewish families on his side of the street from the Christian families on the other. I hope I am not 93 before I write my first book; I also hope I can write even half as well as Mr Bernstein. This is a book I heard about on NPR, and after the first 50 or so pages, I am hooked. He describes, in great detail, what it was like for his mother, in the midst of terrible poverty, not only surviving but overcoming adverse circumstances to care for her family. Little 'arry is only about four years old in the early part of the story, but his observant eyes were always watching his world unfold and the images must have burrowed deep into his mind so that he could recall them ninety years later with such clarity. It was one of our pastors, I think Pastor Sam, who recommended Necessary Endings. The subtitle of the book is The Employees, Businesses, and Relationships That All of Us Have to Give Up in Order to Move Forward. 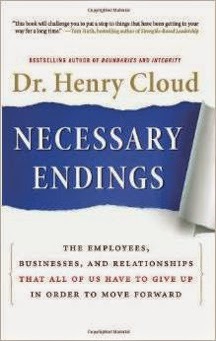 In his first chapter, Dr Cloud says, "Whether we like it or not, endings are a part of life. They are woven into the fabric of life itself, both when it goes well, and also when it doesn't... Getting to the next level always requires ending something, leaving it behind, and moving on. Growth itself demands that we move on. Without the ability to end things, people stay stuck, never becoming who they are meant to be, never accomplishing all that their talents and abilities should afford them." I've been sensing a need for some changes in my life, but I'd never thought of it in the terms of endings. What I have read so far, however, indicates that taking the perspective of ending some things so that other things might gain ground and grow leads to fresh vision and success. I'm looking forward to new insights and steps I can take to implement them as I deal with some necessary endings. - What books do you have on hold or on your reading list right now? Are there any you'd like to share or recommend? - What's your best source of new titles when you're trying to decide what to read? In Numbers 6:22-27 the Lord instructed Moses to give Aaron a blessing to pray over the Israelites. The Lord bless you and keep you, he was told to say, the Lord make his face shine on you and be gracious to you; the Lord lift up his countenance upon you and give you peace. The blessing is beautiful and meaningful, but it is the following verse that grabbed my attention the other day: So they will put my name on the Israelites, and I will bless them (v 27). For days I walked around in awe. "God's name is on me!" I told myself again and again. "God's name is on me!" That surely means his power and his grace and his presence are with me. That can only mean that I have absolutely everything I need for a vibrant, victorious life of faith! 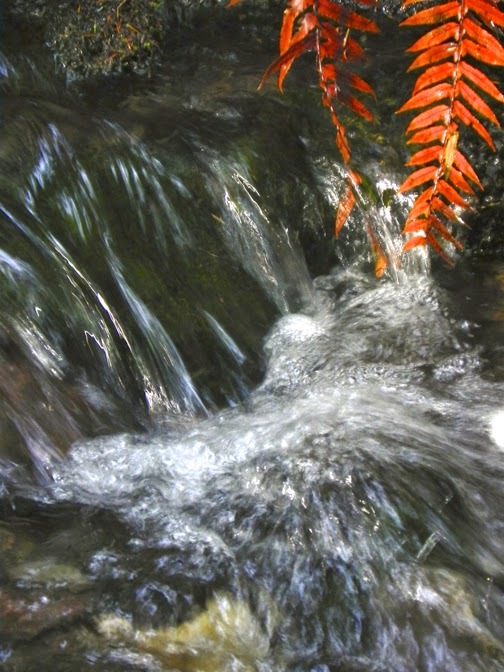 I am tempted to focus on the little things around me and lose sight of the bigness of God. Or I am overwhelmed with the bigness of things around me and become fearful, But in the Lord I have all I need! You have all you need! We have God's name on us! Again and again in the Bible we are told of the spiritual blessings we have in the Lord. Here are a few. As followers of Christ, this is our reality. Live today and every day in light of the truth that in him you have all you need! 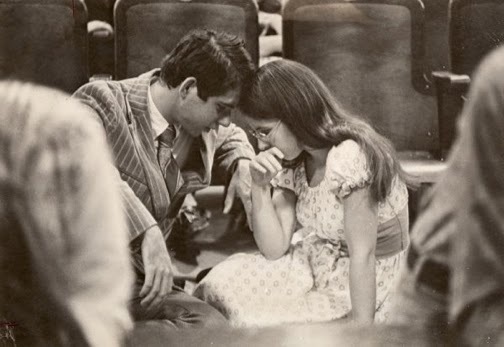 Growing up in the church, altar calls were a common event. There were certain songs that were usually only sung during an altar call, including Jesus I Come. These songs were usually slow, often long, and gave you plenty of time to experience the conviction of your need to respond! When I heard this version of Jesus I Come on the radio yesterday morning, I didn't really like it. Too fast! I thought, too upbeat! Where's the sense of remorse? But I kept listening, and I really grew to like this version, released by Scott Wesley Brown in 2013 on his album, Old Hymns Made New. It is a hymn set in a style that is far more likely to speak to younger people than the original, written in 1887, would be. I love the sentiment. When we sing it we are saying that we turn our backs on the sorrow, darkness, and pain of our lives and step into the joy, light, and peace of Christ. And we affirm, "You are my Shepherd, all that I want, all I need!" and your earnings for what doesn't satisfy? In my last post I introduced Matt Thomas, bishop of the Free Methodist Church, whose intimate relationship with the Lord, ease with people, sharp wit, and unending supply of stories make him winsome and his message compelling. Tom and I attended his break-out session at Leadership Summit last weekend, where he instructed us in "How to Cross Bridges You are Building." There is a basic assumption here, and that is that we are building bridges with people that will lead them to a relationship with Jesus Christ. 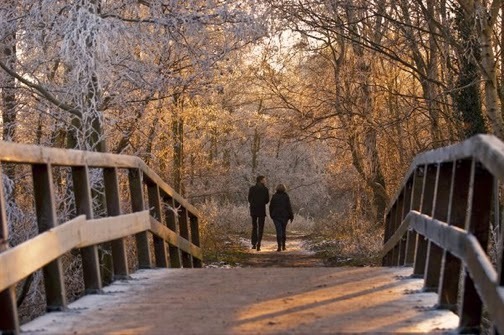 But many of us get stuck in bridge-building and aren't sure how to help others across the bridge. We feel inadequate or afraid to invite people to receive Christ. As a matter of fact, Bishop Matt shared the top three fears that hold us back from sharing Christ: fear of failure ("I can't do this"); fear of rejection ("What if the person says no? "); and fear of loss ("Maybe I'll lose my relationship with this person"). Listening to Bishop Matt, though, helped ease those fears. Among the many helpful insights the bishop offered about the people we are trying to reach and how to successfully share the good news with them, there were three points that came through again and again in his presentation. The first is that people are hungry and open; the second is that we can discover how to reach out to them if we really listen; the third is that we show them how to come to Christ. 1. People are hungry for and open to Christ. Maybe not everyone feels hungry at the moment, and they may not be willing to hear the good news, but we live at a time of chaos and distress. Most people are facing personal crises, not to mention the cataclysmic events that are happening around the world. Peace and order elude most folks, and they are looking for them. - Tell me about your life. I mean, if I were to tell people who ask about you, what would I tell them? - What have been your biggest disappointments? How did you handle them? - Tell me about your spiritual journey. There will be people who give you one word answers, stare off into space, or have other reactions that tell you they are not interested, and that's fine. They are not interested. But for many people, this will be like taking the lid off a simmering pot and giving it a good stir. We listen to understand others, not so that we can appear interested, but because we truly are interested. Common good news killers that Bishop Matt mentioned are self-absorption (just waiting to tell our own story), feigned concern for the other, poor listening, and cliche responses. As we listen, we can pray and ask the Lord for guidance and to reveal himself to the one with whom we speak. Since it is important that we clearly understand, we can ask for permission to summarize what we've heard. They will know, then, that we have truly listened and care about what matters to them. 3. Show them how to come to Christ. It is time to share what we know about Christ and have experienced as his follower. Of course this is not to dump on them, but to answer their concerns with truth from the Bible by sharing appropriate parts of our own story. Share Christ lovingly. Ask for their feedback and response with a question like, "Does this make sense to you?" or "Do you have questions that I did not address?" Then move from communicating about God to addressing him directly. "Would you like to address this issue with God rather than us just talking about it?" would be a good question to ask. This is about leading a person to Jesus, the Way, the Truth, and the Life. This is about introducing someone to the God who makes all things (and people) new, when given the chance. Lord, we live in a world full of hurt. May we be available to help people find wholeness through Jesus. Help us as we build bridges, and as we cross them. For your glory, Amen. We had the privilege of hearing Bishop Matt Thomas speak several times over the weekend. Not only did he give three messages at our church's annual Leadership Summit, he also was the presenter for a break-out session called "How to Cross Bridges You are Building," and he was our speaker at church Sunday morning. 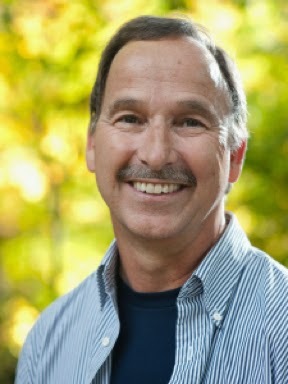 Bishop Matt oversees the work of the western region of the Free Methodist Church as well as Asia. He and his family spent time in three different locations as missionaries. He is a man who seems comfortable with anybody, anywhere. And he is a storyteller. His stories were amazing -- stories about encounters with folks in his travels, stories of how people came to know Christ, conversions stories that took place on airplanes and in Starbucks, stories of bold believers in places hostile to the gospel, and a story about a guy who broke into a church storage shed, stole all their groundskeeping tools, then tried to hawk them to a church member. He told a marvelous story about being in a village somewhere in the world where no one spoke a word of English. He didn't know a word of the local language, and the interpreter was two-and-a-half hours late. An older man came up to him and began to talk -- in his own language -- and he talked and talked. This must be the man I was supposed to meet today, thought Bishop Matt, and he responded in English. The man showed him around the village, talking the whole time in his own language, and the Bishop followed him around, speaking English. They went into a home, where a young couple lived with their baby. This must be where they want to start the church, he thought. They drew his attention to the baby, and he reached down and picked her up. And then he prayed for those gathered, for the baby, and for the Lord to bless the home and all that should happen there. When the interpreter arrived the Bishop said, "Do you mind to tell me what happened here?" So the interpreter turned to the old gentleman and asked him about his time with the Bishop. Then he turned to Matt and said, "You took a tour of the village and went to the home where they would like to start a church. You met the family of the home and prayed a blessing on their home. Their baby has been sick and they wanted you to pray for her, so you did. You did everything they were hoping you would do on your visit today." Bishop Matt said that he's never been in a more foreign environment in his life, but that he was never more at home. Home, he told us, is not a matter of soil; it is a matter of soul. Everybody wants a sense of home, but it's not so easy to identify a home these days. But when God makes his home in us, we're home. People all around us are looking for home. If they haven't found it in Christ, they are not truly at home. He shared the simplicity of helping people find their true home. I'll pass on some of what he told us in my next post. 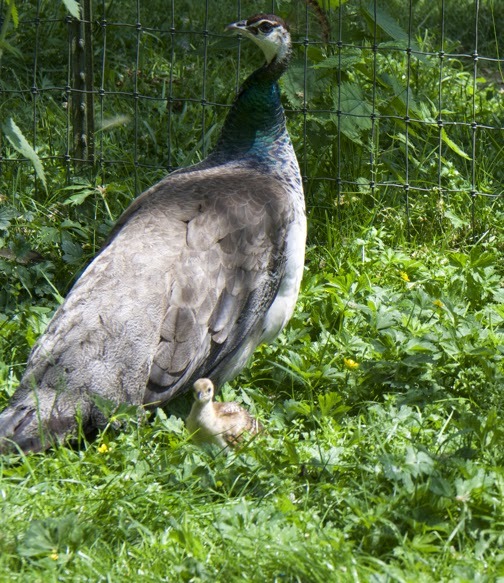 "Our peacock eggs have just hatched," Janice mentioned over lunch the other day. (I wrote about their Muloccan Cockatoo name Baby here.) We were full of questions: How big are their eggs? What color are the babies? How long does it take for them to grow? 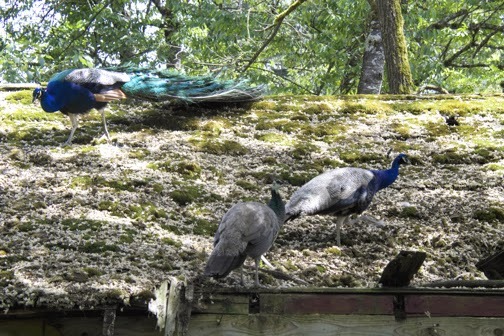 How many peafowl (the proper inclusive term for male -- peacock -- and female peahen) do you have? 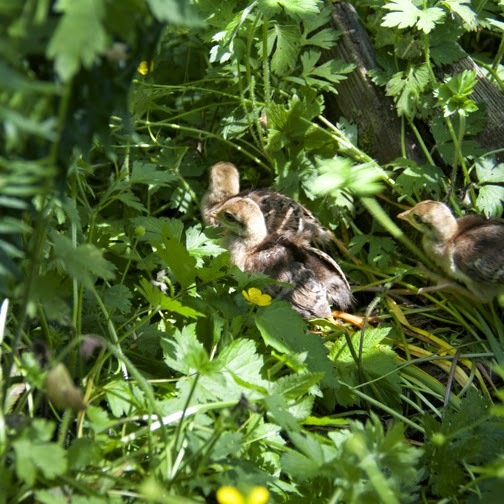 Their eggs are about the size of goose eggs, Janice said, and the babies look a lot like baby chickens. They are yellowish, and it's very hard to tell whether they are male or female when they're first hatched. 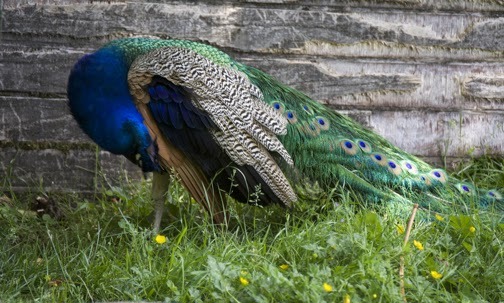 Each year the peacock's feathers grow longer, but it takes about three years for his long, colorful feathers to grow in. As for how many they have, she thought maybe 15. Well, this is something I didn't want to miss. 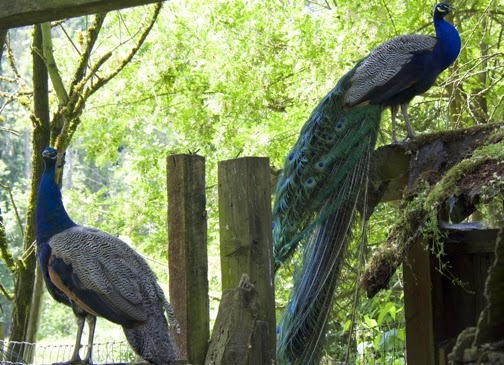 So yesterday I took my camera to Steve and Janice's and spent an hour or so getting to know their peafowl! 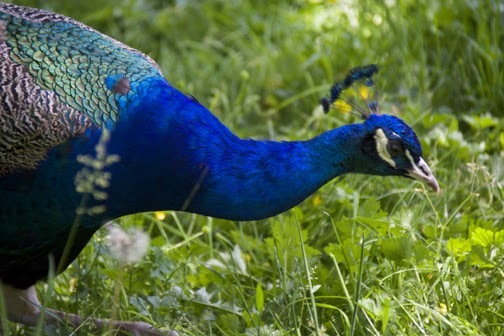 The neck of the peacock is the vibrant blue of the young bird above. 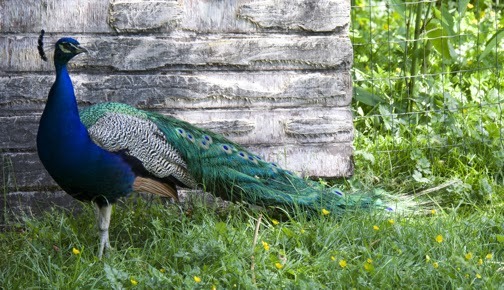 Under the adult peacock's tail are stiff, orange-ish feathers that support the beautiful tail feathers when they are spread out. The female's neck is green, and her feathers do not grow long. 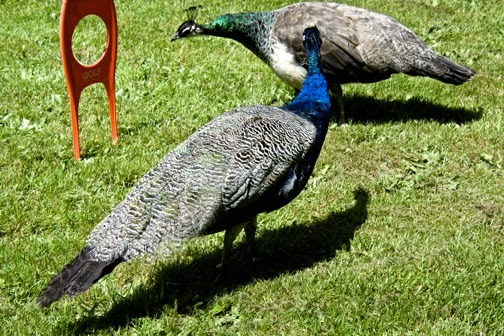 Their brown feathers are very similar, though Janice says the male feathers have a subtle pattern to them. I followed the babies around for quite a while but had trouble getting their pictures, as they stayed close to mama. One little group off on its own moved too fast for me to keep up with, but I did manage to get these two shots. Steve and Janice sent me home with my own bouquet of feathers. What a sweet reminder of a lovely time with friends and a chance to enjoy their beautiful birds. 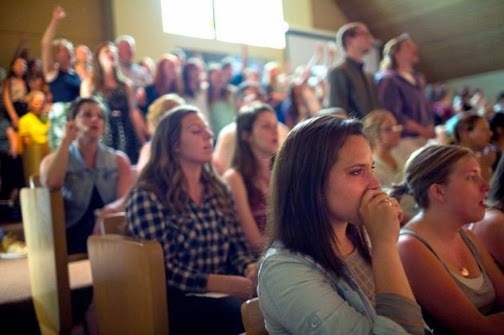 By now you probably know that there was a shooting at Seattle Pacific University yesterday. One young man is dead, a young woman is in critical condition, a male student is still in the hospital and another has been released. The shooter has been arrested. Last night there was a prayer meeting with so many attending that, even with closed circuit TVs in an overflow room, not everyone was able to get into the church, prompting groups to form on the nearby lawn to pray. Another prayer meeting will take place at noon today. We are reminded through this tragedy that being a Christian university does not insulate against trouble and grief. But it does provide a way to respond to it. My mind returns to 1970, my sophomore year at SPC (we were still a college then). It was winter quarter and one day in chapel we had speakers who told us about the revival that was happening on the campus of Asbury College in Kentucky. During that hour we were transfixed, and many acknowledged our longing for God to work in our own lives like He was doing in those at Asbury. Students went to the altar to pray. We confessed their sins to God and made restitution with one another. The service went on for hours, for days, as the Lord called us to come to Him. The impact of that revival is still being felt. In 1970 the US was fully engaged in the Vietnam War, and protests against the war were heating up. In Seattle we experienced conflicts between police and protesters, as was happening around the country. 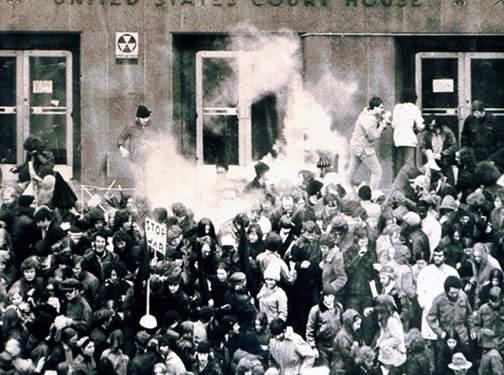 police vs. protesters in downtown Seattle, February 17, 1970. On May 4 the Ohio National Guard opened fire on students that were demonstrating at Kent State University, killing four and wounding nine others. Hundreds of schools were shut down as four million students went on strike across the nation. Students at the University of Washington went on strike and planned a rally that turned into an inpromptu march on the freeway to downtown Seattle. We were feeling very nervous at SPC, not knowing what might happen on our own campus. Would we face violence at Seattle Pacific? I lived in Marston/Watson and Townie (Opal Townsend, our resident director) called a dorm meeting in the Lower Marston lounge. She talked about our anxieties, then turned us to the 91st Psalm. As she read we found great comfort and peace. As I remember it, we had no significant trouble during those volitale days. We also had the assurance of God's presence with us, no matter what. It is the same assurance that the faculty, staff and students at SPU are drawing upon now as they face this current trouble. It is found in Christ alone. I've been listening to some classic "contemporary Christian music" this morning. (Is it even still called that?) I chose five of my favorites to share here, but I can't get them to embed in the blog. So I am sharing a video of my very favorite of the five songs (I think it's my favorite, anyway) and am including links to the other four. If you've got time today, check them out. They are sure to raise your spirits as they lift up Jesus.